Can carpet remnants save me money? You bet! You can save hundreds of dollars on first quality carpet! Many people erroneously believe that remnants are seconds, or that they are just tiny scatter rugs. This is not the case. Carpet remnants are not seconds. They range in size from scatter sizes to large enough for several rooms. We have hundreds of carpet remnants. Carpets come on big rolls. 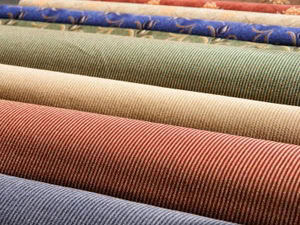 A typical roll of carpet is about 150 feet long. A manufacturer makes hundreds of rolls, which they store in their warehouse. When a customer needs a certain length in a particular color, the mill cuts that much carpet from the roll. Eventually, a roll becomes a short. It is going to be extremely rare that someone will need that exact size and color. For that reason, it is difficult for the mill to sell these 'remainders' of carpet. Mills end up with hundreds of hard to sell sizes. These remainders are called remnants. That's where we come in. We buy hundreds and hundreds of remnants from many manufacturers. The manufacturers love us, because we solve a big problem for them. We help them get rid of hundreds of sizes that they have difficulty selling. They sell the carpet remnants to us at a huge discount, and we pass that discount on to you. Hundreds more in stock now. 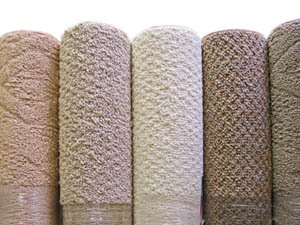 Bound carpet remnants make inexpensive area rugs. How big are carpet remnants? 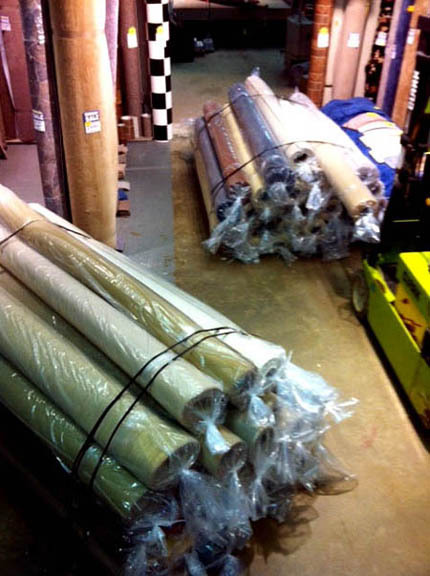 Discount carpet remnants range in size from small scatter rug sizes up to 12' x 50'. A 12' x 50' carpet can cover about three average size rooms. Where can I find remnants? Because of the savings available, people come from miles to see our discount carpet remnants on display in Danvers, Massachusetts. Saving $3000 on a gorgeous Merino wool carpet (for example) is definitely worth a drive! However, if you are not in our area, you can search Google, Yahoo, or Bing for the term "carpet remnants" to find someone in your area. 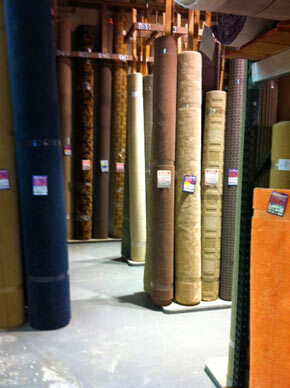 Your larger independent carpet retailers will be your best option for quality. Select a carpet you like. If a carpet is "cheap" but you don't like it, it is no bargain. Select a store with good reputation. Select a store that will install or bind for you. You don't want to be stuck in the middle with an installer saying a problem is the store's fault and the store saying a problem is the installer's fault. If you are not getting a carpet remnant from Pelletier Rug and Floor, verify that it is first quality. Some places sell seconds as carpet remnants. If they are, you might question their reputation. It is a good idea to measure your room before looking, so you'll know what size you need. It doesn't take much effort to save hundreds of dollars on new carpet. And in the unlikely event you don't find what you want in our discount carpet remnants, there are many ways to save with our special order carpet choices and wool carpet choices. Have one of our professional estimators measure your rooms before you come to select a carpet remnant. That way, you'll know exactly what size you should be looking for when you come in. Bundles of carpet remnants. These first quality carpets just came in from a major mill. Now available at a huge discount.